BRYAN EATON/Staff photo. 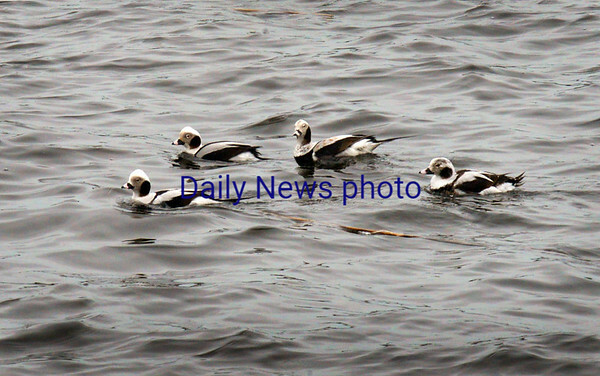 Four out of a flock of about 20 Oldsquaws, or long-tailed ducks, paddle along the Merrimack River in Newburyport along the boardwalk Tuesday morning, then dived either startled by a photographer or going after food. They winter along the east coast from Newfoundland south to the Chesapeake Bay and breed in summer from Labrador to the perimeter of Hudson Bay and farther north.